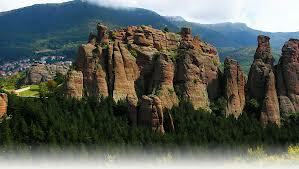 Bulgaria Travel Agent is your portal to Bulgaria. BTA is intended to fill any gap of information about Bulgarian tourism potential and provide you with wide varieties of options in your way to Bulgaria. Bulgaria Travel Agent is your best trip adviser. BTA offers unlimited travel ideas and provide the tools to fulfill your next trip to Bulgaria or build up your dream vacation . Using BTA as your guide will give you an opportunity to discover Bulgaria fully, not limited to one place, hotel or resort. Only this way you could feel the magic of this land and discover what several ancient civilizations had left behind. BTA had joined forces with ones of the most competitive travel wholesalers in the world and offers the best deals on the market. Located in the heart of the Balkans, Bulgaria offers a highly diverse landscape: the north is dominated by the vast lowlands of the Danube and the south by the highlands and elevated plains. In the east, the Black Sea coast attracts tourists all year round.Founded in 681, Bulgaria is one of the oldest states in Europe and the oldest that had survived under its original name. Its history is marked by its location near Europe’s frontier with Asia. Some 85% of the population are Orthodox Christians and 13% Muslims.Bulgaria is one of the few exotic nations of Europe, due to the fact that it boasts sublime beaches, lovely churches, winter sport opportunities. Bulgaria’s tradition of producing essential oils dates back to the 17th century and is a source of national pride for the country. The first roses were brought to Bulgaria by the soldiers of Alexander the Great, long before distillation first started. These roses were from the region of the town of Kashan in Persia. The climatic conditions in Kazanlak, however, proved more favorable for the cultivation of roses than the conditions in Kashan. The roses grown around Kazanlak had high percentage of oil, which contained less stearoptene (the paraffin or waxy substance, which solidifies when the oil is left in cooler temperature) than the oil from the Kashan region roses and was therefore of superior quality. Bulgaria is known as the land of roses.Book your next trip to Bulgaria. 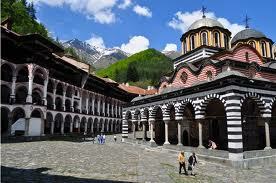 During Summer Bulgaria is one of the top tourist destinations in Europe! Tourists seeking cheap sun might reply that Bulgaria is a strip of sands on the Black Sea. But venture into the countryside and you’ll be rewarded with a land where the inscrutable remnants of ancient civilizations sit alongside more jarring memories of a communist past, and where the colorful traditions of mountain folklore mingle curiously with a tentatively emerging future.Bulgarian festivals and customs date back to ancient times when men tried to appease the natural elements and trembled before their power. Full of beauty, gaiety, mystical voices, fiery dances and brightly colored costumes – Bulgarian folklore has to be seen, felt and experienced! Bulgaria has been traditionally a Christian state since the adoption of Christianity as state religion in 865 , and therefore the dominant confession is Eastern Orthodoxy of the Bulgarian Orthodox Church. During the Ottoman rule of the Balkans Islam established itself in the territories of Bulgaria, Roman Catholicism has roots in the country since the Middle Ages, and Protestantism arrived in the 19th century. Turbulent history and strategic location had made its impact on religious group coexistence. The Constitution of Bulgaria designates Orthodoxy as the “traditional” religion of the country, but guarantees the free exercise of religion. The religious communities in the country coexist peacefully. In fact, the capital Sofia is known for its so-called Triangle of Religious Tolerance: the St Nedelya Church, Banya Bashi Mosque and Sofia Synagogue are located within meters of each other in the very center of the city.The monasteries preserved the national spiritual values during the hard times for the Bulgarian state. Most of the Bulgarian literature and painting was created in these holly cloisters. During the time of Ottoman rule the monasteries preserved not only the religion, customs and culture but they were also the heart of the revolutionary movement. Because of the Turkish attacks or as a result of the time small part of the today’s operating monasteries have kept their original look. However visiting them is a great experience. 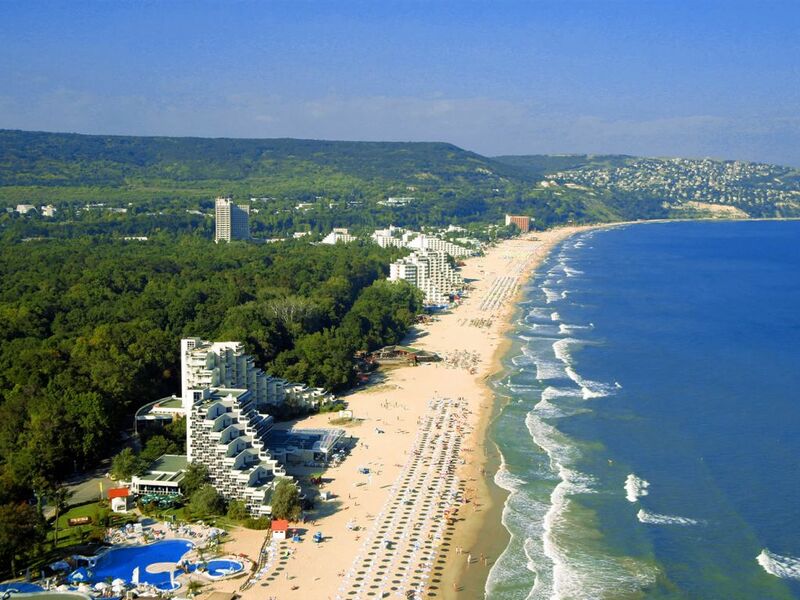 For most foreign package-tourists, the Black Sea coast is Bulgaria, and the big, purpose-built resorts here are becoming serious rivals to Spain and Greece in attracting international holidaymakers. Many, of course, simply fly in, splash about at their Sunny Beach (Slânchev Bryag) resort and fly out again without seeing anything beyond the parasols and jet skis, but independent travelers will find plenty of places to explore, including empty beaches to the south and north (visit Sinemorets before the developers gets their paws on it! ), the bird-filled Burgas Lakes, beautiful ancient towns such as Nesebar and Sozopol and one of Bulgaria’s most attractive cities, the unofficial regional capital of Varna. Those with their own transport will have even greater choice, with the wild Strandzha Nature Park in the south and the picturesque Kaliakra Cape and Dobrudzha region in the north theirs to discover. Five centuries subjugated to Ottoman rule and, more recently, four decades locked very firmly behind the Iron Curtain turned Bulgaria into a distant, enigmatic country in the eyes of much of the rest of the world. Images of cheap wine downed at student house parties, budget ski holidays and umbrella-wielding Cold War assassins were once among the popular stereotypes, but Bulgaria today is a vastly different country from what it was even 10 years ago. 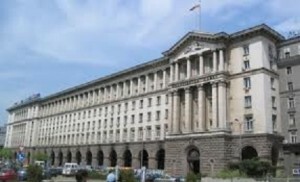 Bulgaria today is part of EU and NATO. For most foreign holidaymakers, Bulgaria’s main lure is its long, sandy Black Sea Coast –which still boasts swaths of stunning beaches and picturesque bays despite the expansive construction work – but there is so much more to this country, and so much of it remains largely untouched and unvisited by overseas tourists. Networks of well-maintained hiking trails and horse-riding routes allow you to discover Bulgaria’s lush mountainous and forested landscapes, especially around the Rila and Pirin Mountains, inhabited by bears, lynx, rare birds and other kinds of wildlife now becoming scarce elsewhere in Europe. Getting around the country is easy, with cheap and efficient public transport to ferry you between the cities and into the remoter, rural corners, where the traditional, slow pace of life continues much as it has done for centuries. Here you’ll come across multicolored red monasteries, filled with fabulous icons and watched over by bushy-bearded priests, and impossibly pretty timber-framed villages with smoke curling lazily over the stone-tiled roofs and donkeys complaining in the distance, where head scarfed old ladies and their curious grandchildren still stare in wonderment at the arrival of outsiders. The cities, too, are often overlooked highlights, from dynamic, cosmopolitan Sofia with its lovely parks, sociable alfresco bars and fascinating museums, to the National Revival architectural treasures and Roman remains of Plovdiv, and the youthful maritime cockiness of Varna. A fully paid-up member of NATO and (since 2007) the EU, Bulgaria has the feel of a nation at a very important crossroads. Massive foreign investment has created a construction boom, not just around the larger beach and mountain tourist resorts, but in the cities, too. More tourists than ever are discovering this country and an ever-rising number of foreigners are investing in property here. At the same time, the Bulgarian population is declining faster than almost anywhere else in Europe, wages are among the lowest on the continent – prompting increasingly long and bitter strikes – and the old problems of bureaucratic incompetence and organized crime bubble away in the background. The environmental damage caused by over development has been a particular cause for public alarm over recent years, and there are several national and international organizations campaigning to bring some of these issues to wider world attention. However much they complain, though, Bulgarians are a patriotic, if modest, bunch – when they ask you, as they often will, if you like their country, they genuinely care that you leave with good impressions. Prices have certainly risen since Bulgaria became a member of the EU, but compared with countries in Western Europe, travelers will find it by and large a pleasingly cheap destination, and an easy and enjoyable one to travel round once you’ve mastered the Cyrillic alphabet and enough Bulgarian to buy a bus ticket. Bring your own transport and the whole country is yours to experience.